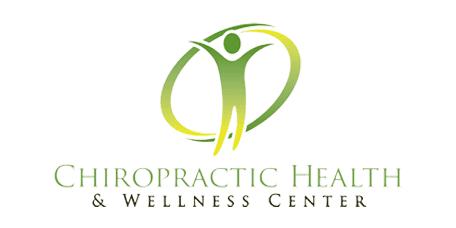 Welcome to Chiropractic Health and Wellness Center! In a greater effort to help patients maintain or create a healthy way of living, Chiropractic Health and Wellness Center in Sterling, Virginia, provides patients with the whole-person health care they need to keep their bodies in the best condition possible. Dr. Charles Arndt and Dr. Debarun Borthakur provide chiropractic, rehabilitation, and weight loss services to help patients achieve an optimal level of health and fitness. The Chiropractic Health and Wellness Center staff recognizes that each person is unique, and develops individualized treatment programs for each patient, rather than basing treatment protocols on symptoms alone. Each patient receives a thorough evaluation, which goes beyond obvious issues of pain and discomfort. Helping patients understand their health condition, how it progressed to its current state, and how appropriate treatment will help correct it, is an integral part of the healing process. To do this, Dr. Arndt and Dr. Borthakur use video, anatomical models, computer imaging, and instructional classes to help patients better understand their current health. Research has shown that patients who understand the full nature of their condition heal more quickly than those who do not. Dr. Arndt and Dr. Borthakur use cutting-edge technology in their practice, such as Computerized X-ray Analysis, which accurately compares the patient’s spine to normal and monitor changes, and spinal correction using Chiropractic Biophysics to correct deformations that lead to arthritis and degeneration. The practice also uses SpineMED® Decompression to help with back pain, stem cell therapies like PalinGen® for tissue regeneration, and integrative medicine techniques, including trigger point injections, to provide much-needed pain relief. Excess weight is another health concern which receives a holistic, individualized approach at Chiropractic Health and Wellness Center. An educational plan is used which includes helpful information, coaching, and constant support and encouragement throughout the patient’s weight loss journey. The goal at Chiropractic Health and Wellness Center in Sterling, Virginia, is to determine the root causes of patients’ problems and help restore them to health, so they can regain the lives they want to live. Why should I Get Corrective Chiropractic Care? If you experience pain in your joints, back or neck look into how corrective chiropractic care is the solution. Using a weight loss clinic to help you achieve your goals is your best bet for success as you can learn how to live a healthier lifestyle and keep the weight off.